Three tier wedding cake at The Grand Hotel, Eastbourne, East Sussex. 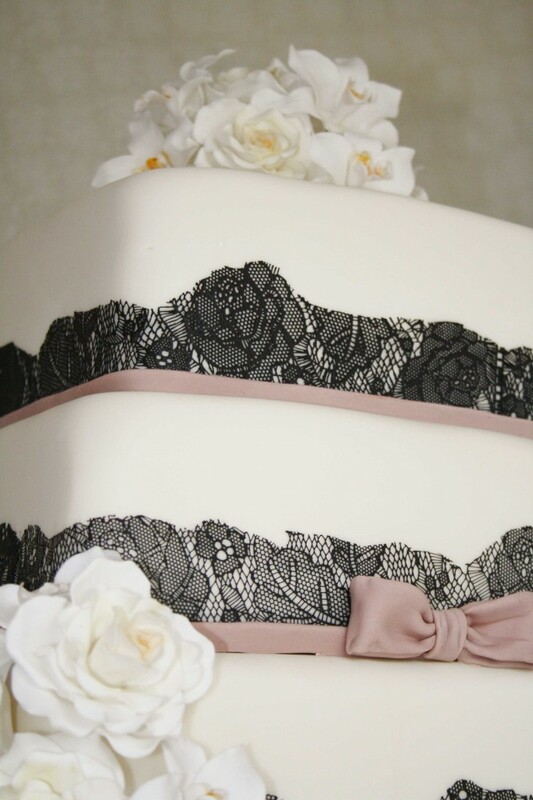 With sugar roses and orchids, black sugar lace and coffee sugar bow. Cake serves 200 finger portions.